The more methods we have to communicate the less we seem to know. The cacophony of demands can both enable and disturb our proclamation of Christ's deep love for the whole creation. 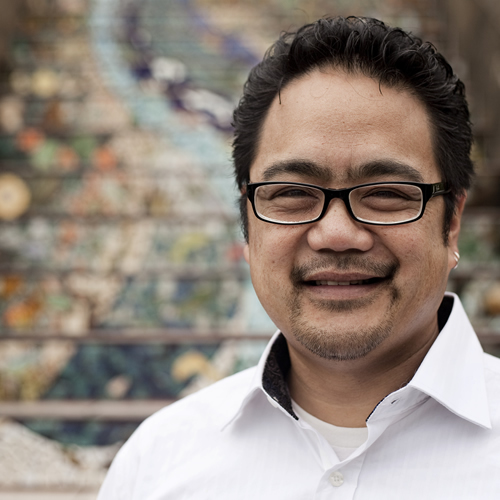 The 2016 PNEUMA Conference is excited to welcome Bruce Reyes-Chow as our keynote speaker as we gather to explore the intersection of technology, Christian faith, diversity and modern families. PNEUMA offers ecumenical retreat for all leaders, volunteer and professional, lay and ordained; come feel the spirit of lifelong formation at PNEUMA 2016. The workshops are featured below, and you can REGISTER HERE!!! Pastor, parent, person, preacher, Presbyterian and public ponder-er of many things pertinent and plausible. The Reverend Bruce Reyes-Chow will join PNEUMA 2016 to help us explore the provocative places where faith, race, family and technology intersect. How can we re-imagine fellowship, worship and Christian practice through common meals? For many years St. Lydia's (Brooklyn, NY) has been exploring how to become one in Christ through sacred liturgical tables. "Emily Scott imagines her ministry as "creating space for moments of transcendence through ritual." At St. Lydia’s, these moments take place around a common table where God comes and finds us. Trained as a liturgist and musician at Yale Divinity School and the Institute of Sacred Music, Emily has followed a particular interest in the intersection of worship and the arts." On the other side of the continent Joseph Peters-Matthews serves with the Diocese of California where he has extensive experience with pragmatic liturgical creativity, and with social media. A graduate of Graduate Theological Seminary in New York, He invites us into spaces where the divine, ancient and contemporary dance together for the reconciliation of the world. We strive to offer workshops for the new minister and the experienced; opportunities for diving into the practical, as well as the academic and pedagogical. The full descriptions of our expected workshops are in the document below! We return again to the Bishop's Ranch, nestled in the rolling vineyards and pastures of the Russian River Valley Join us at PNEUMA 2016 and discover the treats and treasures of this comfortable and inspiring conference center in Healdsburg, California. all the fantastic meals you can savor. All housing options have bathrooms in the room in which you reside.